While I rejoice that summer somehow is about to end (honestly didn't like this uber hot weather), I would like to introduce another beach getaway outside Manila. No need to hop on the plane. This is all about a 4 hour - bus and a 6 - hour boat ride. If I have no commitment to go to Puerto Princesa, Palawan next week, I would probably see myself going on a solo trip to Jomalig island just before the rainy season starts. The island of Jomalig is located in the province of Quezon, Philippines. 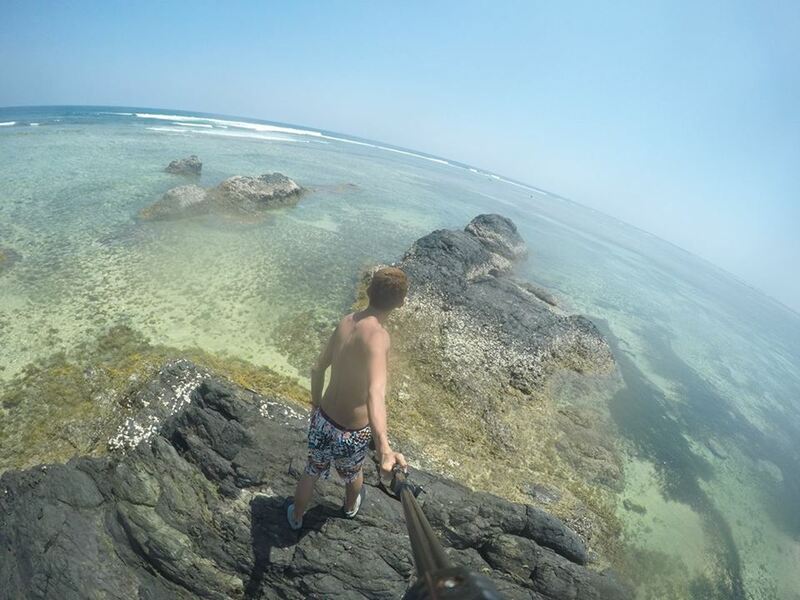 It is part of West Pacific ocean en route to Polilio island and very near to the famous luxury resort for celebrities and members only, the Balesin. My five - star standard for an ideal beach is always composed of fine white sand like the ones in Boracay, San Vicente Palawan and a few islands in Caramoan. However after reading much about a Jomalig DIY tour and searching for an affordable Jomalig tour package, a remote island with a signature golden sand and breathtaking emerald - green water has pushed me to redefine my definition now of what makes a perfect island adventure. This is the creme - of - the - crop beach you should never miss when you are in Jomalig. Like what I mentioned previously, the sand's color here is golden brown that reminds me of the desert and a rice stalk ready to harvest. The water is perfectly blue but be reminded that this isn't the beach for kids and to those who can barely keep up with the strong current. The waves are usually high so I won't be surprised that one day Jomalig will be a favorite surfing spot like Siargao, Baler and La Union. 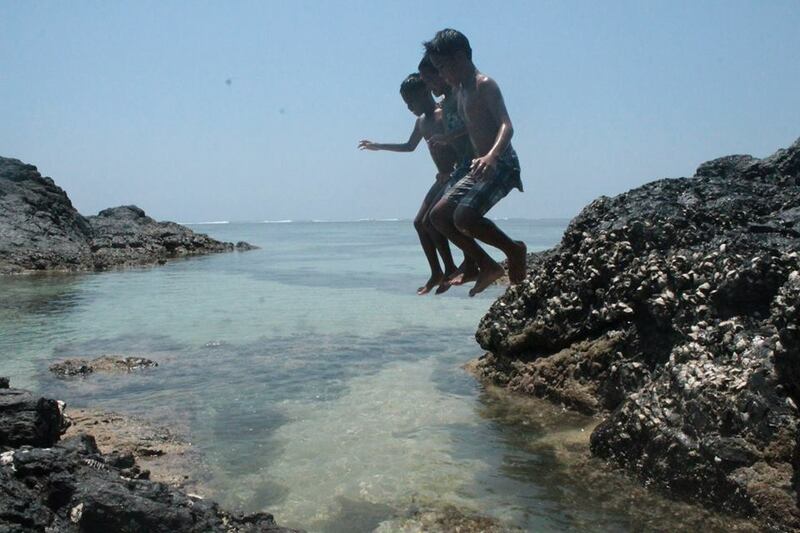 There are no cottages or beach resorts near the beach of Salibungot. You will need to change your clothes or find solace under the tall shades of Agonoy or Pine trees. If you can't take the strong water in Salibungot beach, this one is definitely for you and me too since I am not a professional swimmer or avid surfer. Kanaway Islands are perfect for mild swimming and snorkeling. It's quite farther, about and hour or so to get there. If you came in a large group, you can hire a boat for Php2k good for 15 persons. 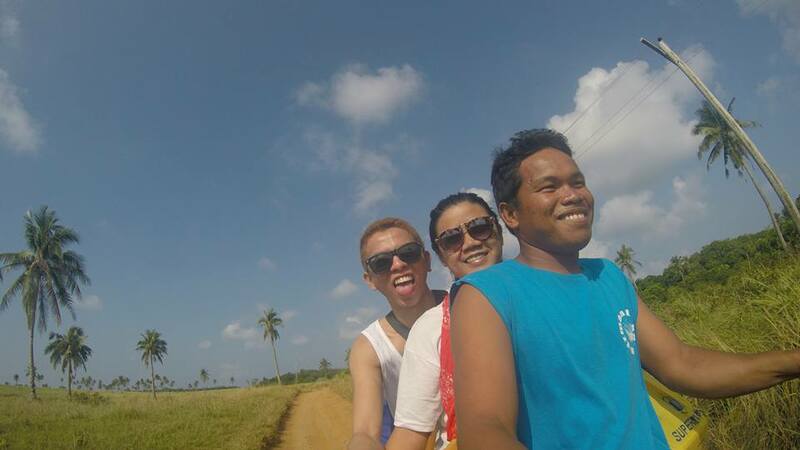 If you came as a couple, a habal - habal ride for Php700 is the best mode of transportation to get there. There are two Kanaways islands: one big and one small. 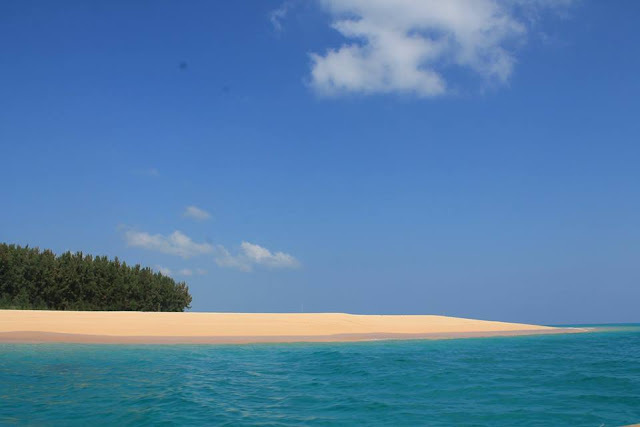 You can swim and snorkel in Kanaway Laki (big one) and do the same in Kanaway Liit (small one) with an addition of seeing a majestic sandbar. I know you guys are still wondering if there are fine white sands in Jomalig. Big yes, you'll see it in the two islands of Pulo. These are beaches that are up to this time untouched, unexplored and unexploited. Same - same as they say but the views are as breathtaking like the other islands with golden coasts. There are so many ways actually. You can take via Atimonan, Rizal or Real Quezon Rizal or Panganiban, Camarines Norte. 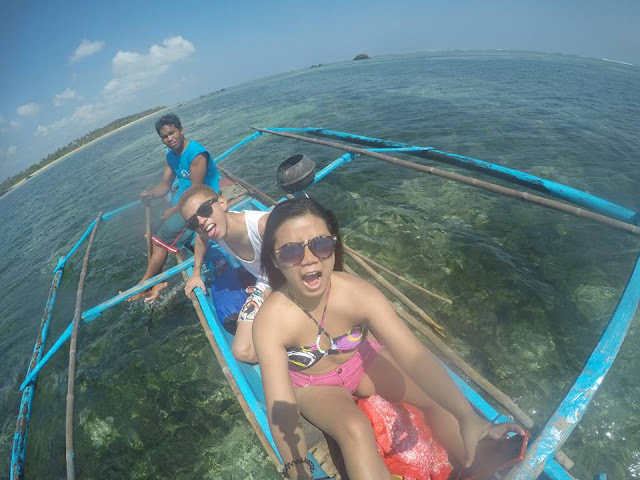 For complete details of how to reach Jomalig via Real, you can click here Lakwatsero's Travel Guide to Jomalig Island. Would like to thank Justin James for the photos and for sharing his sample DIY itinerary for 3 days and 2 nights for 2 pax. 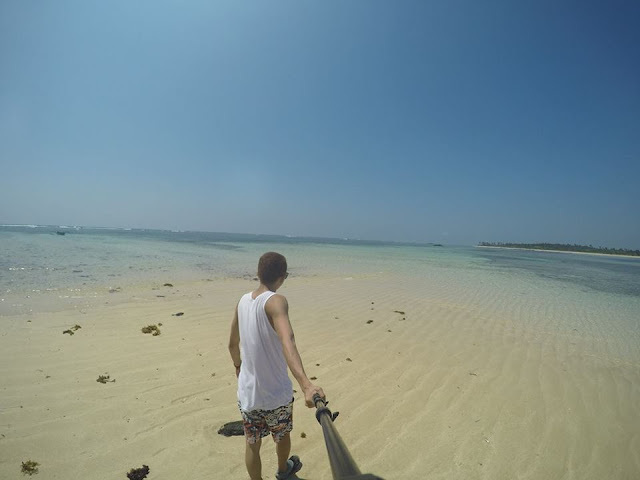 He also made a travel video of his Jomalig Trip, you may click here to view it. Thank you so much! We have contacted Kuya Jojo and we are looking into bus and van rides there for our upcoming trip. Cheers!